Best hydrolysed whey proteins on the market - Invest in yourself. Amino acids contained in this product absorb almost immediately, so your results will be faster and better! Only tested supplements (such as this) guarantee success. If you are looking for high quality whey protein hydrolyzate - the right place. 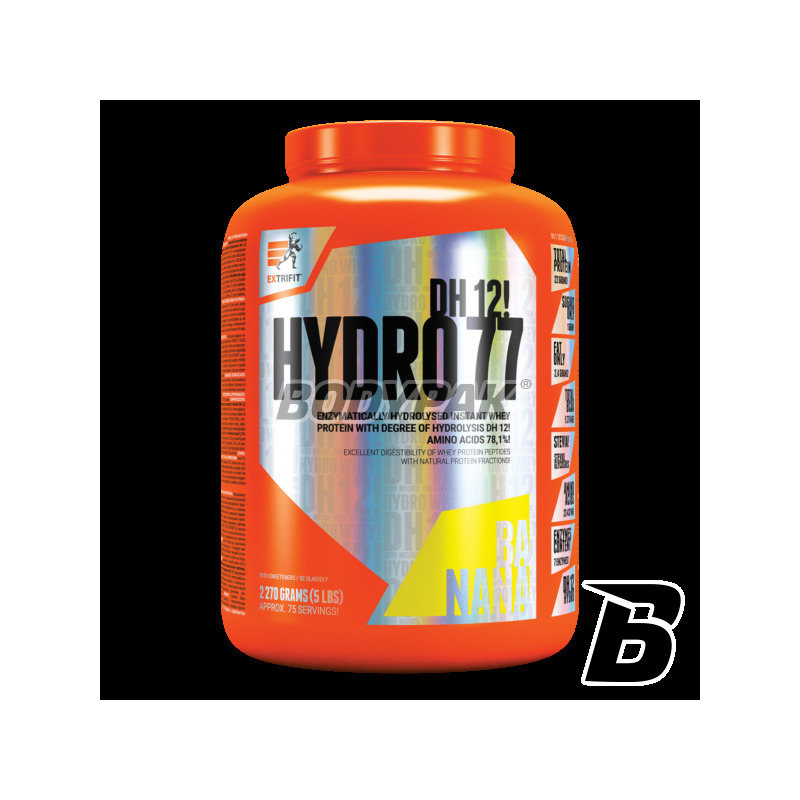 If you bet on what is the best you can not choose better than Hydro 77. The advantage of this product over others is the fact that this is a hydrolyzate - wjakie amino acids in it are not present in the form of long peptides, so the body does not need to waste precious minutes on his digestion before it adopts. The proposal by Hydro Extrifit 77 is characterized by rapid absorption, so almost immediately after eating, your body receives everything needed for maximum growth of your muscles. You will not find anything better to support your body in obtaining high quality lean muscle mass. 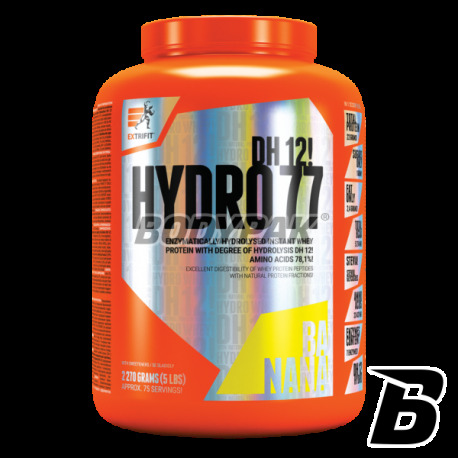 Reach for success with hydro Extrifit 77 DH12! Ingredients: enzymatically hydrolyzed whey proteins using DH12 hydrolase (zaweira fractions: 36% of beta-lactoglobulin, alpha-lactalbumin 15%, immunoglobulins, 2.5%, 2.5% bovine serumalbuminy, whey protein fractions weighing 500-1000 Da molecular 4% whey protein fractions of molecular weight lower than 500 KDa 40%) complex, 7 enzymes (papain, alpha-amylase, bromelain, lactase, cellulase, natural protease, lipase). Other ingredients: aroma, steviol glycosides (natural origin, sweetener), sucralose (sweetener), beta carotene and annatto (natural pigments), soy lecithin 0.29% (to improve solubility). Cena wysoka, ale warto wydać te kilka złotych więcej .. izolacik pierwsza klasa!